A MUM has told how she fears for her children’s safety after her home was subjected to a series of vile racist attacks. 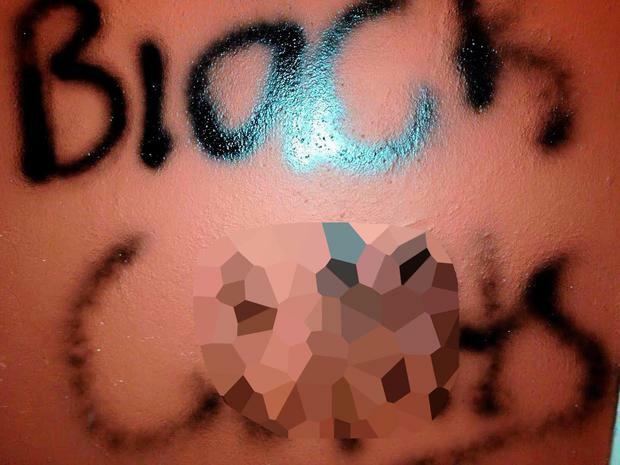 In the latest sickening incident thugs scrawled “black c**ts” several times across front door of Meriam Ajayi’s home in Ballybeg, Waterford. The distraught mum-of-two (45) said this is the fourth attack and she has now pleaded with the authorities for help. “I need all the support I can get to help me get out of the place,” she said. “I can’t take it anymore because this isn’t the first, the second or the third incident. There have been so many incidents and I have just had enough. 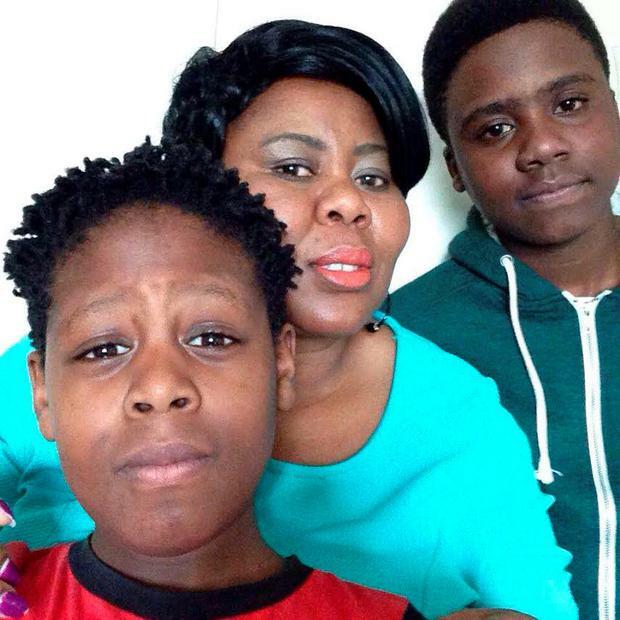 Mrs Ajayi, who is currently in a Community Employment scheme, has lived in Waterford for nearly 15 years with her husband and their two sons Yomi (14) and Kabelo (11). She explained that their car was destroyed in an arson attack around five years ago and windows have been broken at her home in the last number of weeks. Mrs Ajayi, who is originally from South Africa, said the family are perplexed over who is targeting them: “I get along with everyone, I don’t cause trouble with anyone. It is hard to point finger on anyone when you have not seen anything. 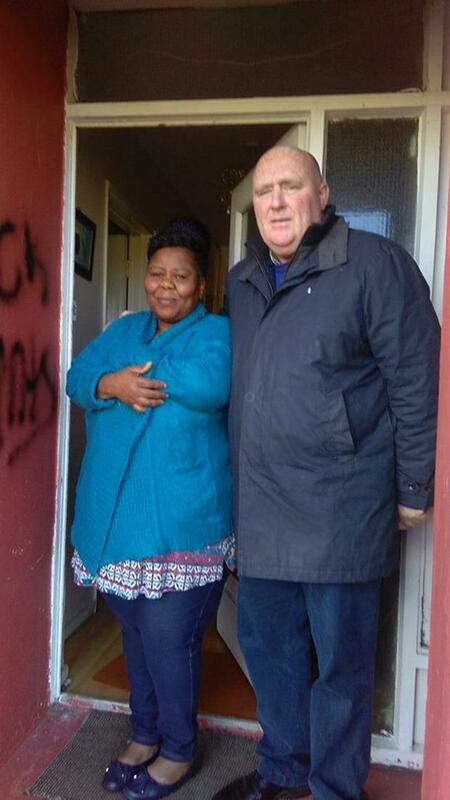 Local councillor John Hearne (SF) visited the home today and viewed the graffiti. “It’s just a vile racist attack,” he said. “We don’t have it in Waterford and we should put it down at the first sign of it.